Be independent. Go to cool places. Ride the bus! Riding Metro gives you the freedom to go places and have fun with your friends. Ride together to the mall, meet up at a beach, or just hang out with your friends without bothering mom and dad for a ride. Pay with cash or get an ORCA youth card. With an ORCA youth card, you can transfer easily to any participating transit agency*, you don’t need to carry cash, and you save a lot of money because you get credit for what you already paid for your ride! How to ride Get your card today! Get your ORCA youth card or gather your change to pay the $1.50 fare. 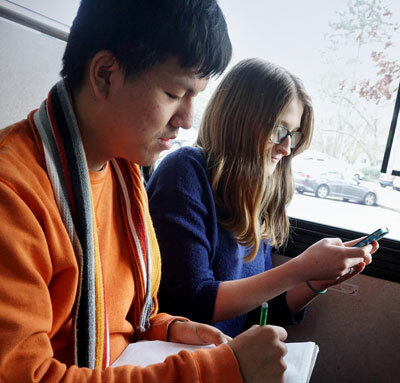 Use Metro’s Regional Trip Planner (for desktop or mobile devices) or give us a call at (206-553-3000). You can check out our Trip Planning app too! Visit our How to Ride Metro page for more details. Find your stop and away you go! An ORCA youth card is available to youth age 6-18. It allows you to pay only $1.50 for your trip including transferring to other services (within a 2 hour window) like Link light rail, Sound Transit buses, Community Transit and other participating agencies*. Print this form, fill it out and mail it to customer service along with a copy of your id showing proof of age** and $5.00 for the cost of the card. You might want to add additional money or a pass to your card too. If you need help figuring out the fares just give us a call. Print this form, fill it out and bring it to customer service along with your id showing proof of age** and $5.00 for the cost of the card. Not sure how to fill it out? Just bring your ID in to customer service and we’ll walk you through it. Your mom and dad can also get a card for you with your id. *Participating agencies: ORCA is accepted on Community Transit, Everett Transit, King County Metro Transit, Kitsap Transit, Pierce Transit, Sound Transit and Washington State Ferries. If you are planning to ride on a Washington State ferry, a standard transit pass does not cover the cost of ferry travel. Additional fees apply. **Proof of age: To prove age for six to 18 years of age, use one of the following: 1) Student ID; 2) State ID or driver's license; 3) Birth certificate. Metro also has free ORCA cards available to youth whose parents qualify for ORCA LIFT based on income. 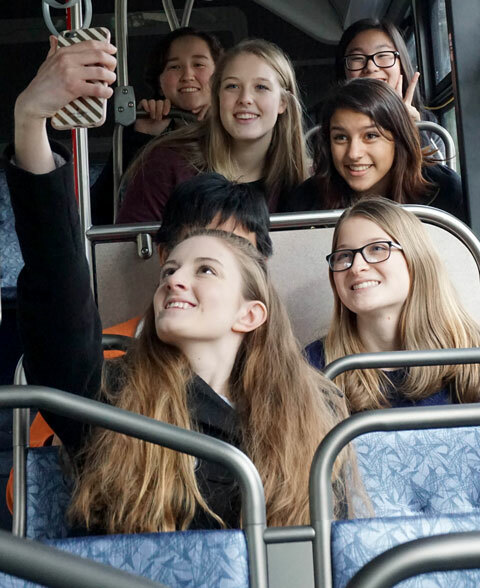 If you are over 18 but not working or have a limited income, you might be eligible for the same great deal with an ORCA LIFT card; great for students if your school doesn’t have a pass program.